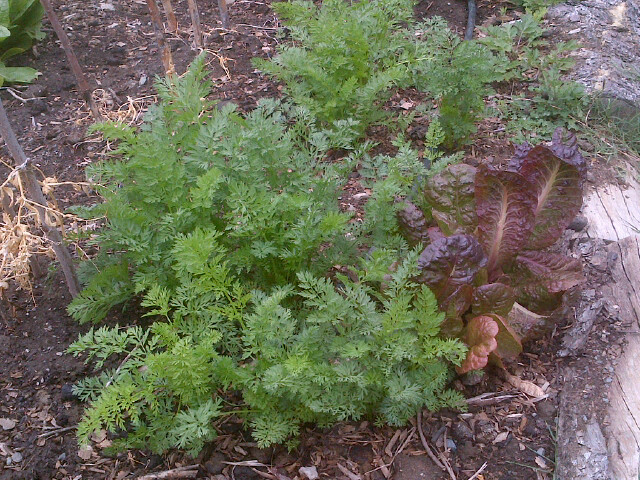 Brenna and Colin spent some time harvesting fresh vegetables at the garden this week, including red onions, romaine lettuce, and yellow and orange carrots. 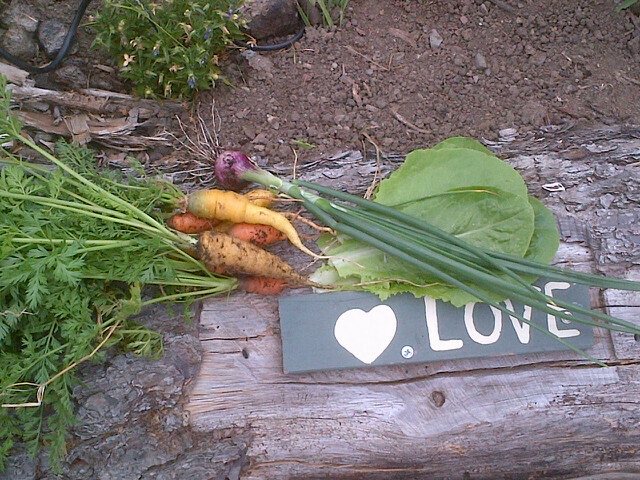 It was the perfect amount for our dinner, so if you're stopping by the garden, feel free to take what you need! 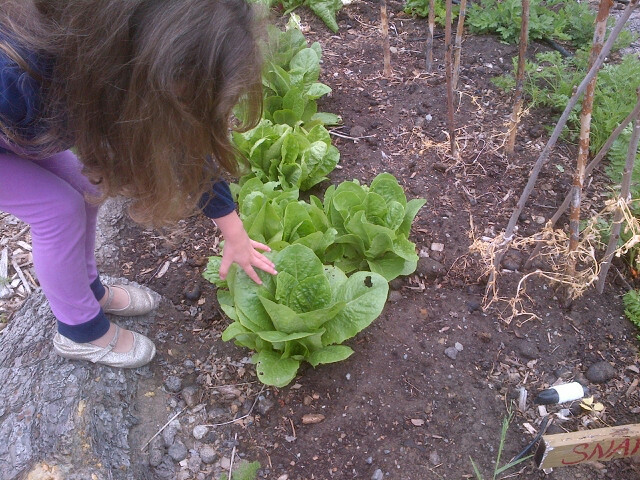 Brenna inspecting the romaine lettuce. A lot of this carrot patch wasn't quite ready, but we found yellow and orange carrots in various parts of the garden, including volunteers scattered around the pathways. Carrots, red onions, and romaine lettuce.